"This new album is the culmination of my transformation after being to the brink and back," states Michael Wolff. At one point during 2015, Wolff, then deep into his four-year battle with a rare form of cancer, fell comatose. His prognosis left little hope yet, with a stubborn willpower, the pianist fought off the disease. After months of physical and mental rehabilitation, he was ready to approach music again with a new trio. This trio would be formed with New York natives, bassist Ben Allison and drummer Allan Mednard. These two previously recorded together on Allison's 2017 release, Layers Of The City (Sonic Camera Records). Swirl was recorded at the Yamaha piano salon in Manhattan and, while the music was played for a small audience of invited guests, their cheer and applause are heard only at its onset and finish. The album has a clear yet warm, slightly bass-heavy tone. When questioned about how his experience has impacted his perspective, Wolff said, "My view of life, art and music has changed, developed, matured, widened and focused simultaneously." Considering that the pianist had just triumphantly survived coming within a hair's breadth of death, the music he wrote for this release (only three songs aren't originals) is necessarily energetic. The opener "Allison" is a vivacious, swinging tune, seemingly made to challenge listeners to nod and tap along, while it's successor "Metairie" is a slick, stylish number of the same breed. 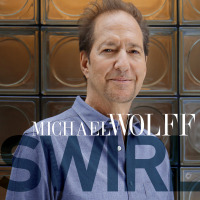 Wolff spends much of the album attacking the keys with ferocity, and his energy is contagious. What Swirl lacks however, is a particularly memorable ballad. The trio's pretty cover of "Angel Eyes," a little over halfway through the album, meanders rather than emotes, and while "Goodbye Too Late" offers a bit of wistful regret, the song, at a brisk three minutes and fifty seconds, lacks the necessary punch to pull the listener in and confide in them. 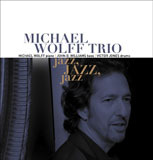 Wolff chose to close the album with its title track, employing the same buoyant excitement with which it began. Another original, the song is true to its name, beginning with the pianist peppering the high keys to create the effect of something like a wind chime while ominously teasing the lower end of the piano, before fully diving into the melody. So much of Swirl is an uplifting experience, seemingly hoping to entice the listener to keep swinging and swaying even once the music has come to a close.